Dentists frown on sugary sweets – we all know it. But The Center For Cosmetic & Restorative Dentistry in Chesapeake wants you to know that some non-sugary snacks can be harmful to your smile too! Teeth are tough and made to help us chew through food. But they do have a breaking point. 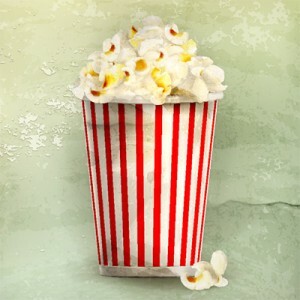 Hard foods, like popcorn or even ice chips, can be just as bad for your teeth as sugary treats, if not more. Many people chew ice as a habit and like to enjoy a bucket of popcorn while at the movies, but the consistent crunching of these foods and others like them can not only potentially lead to broken teeth in Chesapeake, it can also create tiny cracks that leave you more susceptible to cavities and weakened teeth. Sticky foods, and particularly sticky sweets, are also dangerous to your teeth. And it’s not simply the sugar that makes these chewy treats so harmful. While the sugar does play a key role in damaging effects of foods like caramels and taffy, the stickiness is more important to note. The texture of these treats causes them to cling to the surfaces of your teeth and deep in their crevices, leaving the sugar to linger in your mouth and putting your teeth at risk for cavities and decay. Our Chesapeake dental office is here to help keep your smile healthy, in spite of your snacking habits. If you’re one to crunch your ice, or if you really like your caramel snacks, it’s even more important to maintain regular exams in order to keep your smile healthy and strong. And if you do happen to chip a tooth on a popcorn kernel while catching the latest flick, don’t wait. Contact us as soon as possible.